How Far is MCB Sri Shanmuga Garden? Chennai ties to build their “Dream Homes’ within the limits of Chennai, nestled among Residential Cluster and fine neighbourhood is this serene Plotted development Project and in a lush green eco – friendly life to live with their dear and near. Located at 31 kms distance from Koyembedu junction is this locality which has good road and rail connectivity at 10 minutes frequency to city. The 400 ft ORR (Outer Ring Road)connecting Vandalur to Minjur is an important factor for more Appreciation in a short span of time where Chennai's first BRTS (Bus Rapid Transport System ) is proposed wherein from this Nemelicherry point commuters can have access to any part of Chennai (i.e.) East , West , North and south parts of chennai , close to reputed CBSE & Matriculation Schools , Arts Science and Engineering Colleges , Market Place , Bus Terminus and Railway Station is this Residential Locality ideally made for the Middle Class sector to live up to their dreams. 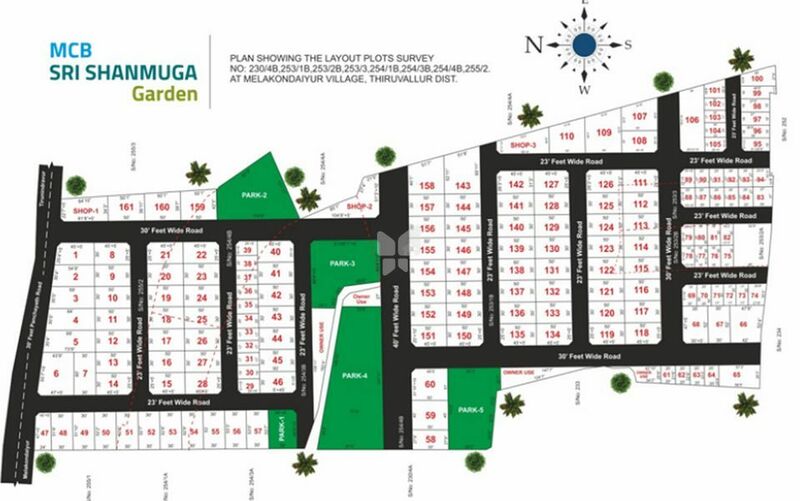 An Investment Potential place in DTCP locality, any investment made here will soar to its maximum heights.